Cedar Nut Oil Handmade 250 ml. 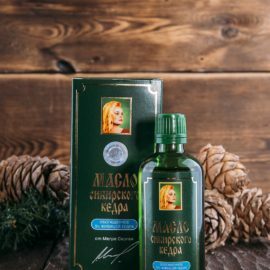 We started producing this oil at the request of the readers of “the Ringing Cedars of Russia” books by the technology that is mentioned in the books. 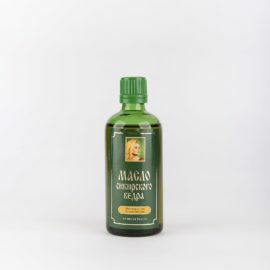 It is different from any other our oils in taste, colour, and energy. The entire process is performed exclusively by hand. One family does everything from crushing cones to filling bottles with the oil. All the stages take place in the Cedar House, with the help of only wooden equipment, which allows the product to breathe. During the process of the oil production the nut is not cleaned and dried to preserve alive cedar pollen. 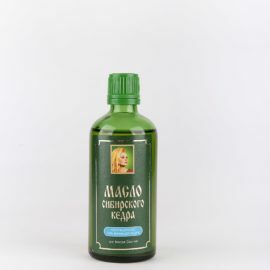 It contains more moisture, so it is more liquid than other Cedar Nut Oils. 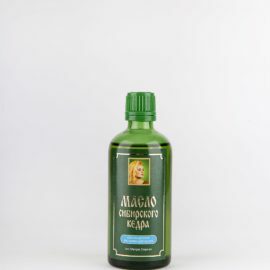 After extraction, the oil is immediately poured into bottles to save its most valuable elements, which results in forming of a natural sediment. This sediment is a sign of good quality. To protect the Oils against counterfeiting, a 50-ruble banknote with the state number is placed under the label. We keep the number of banknote in our base, therefore You can call by phone 8 (383)-291-1370, and name number of your half. If your number is one in our database, You have the original Oil. 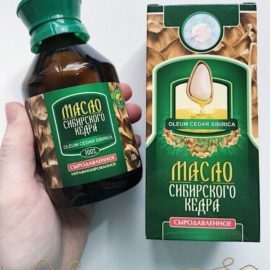 Brief description: Handmade Cedar Nut Oil produced according to the technology mentioned in the books “the Ringing Cedars of Russia”.